In addition to Toyota incentives, we also offer a rotating variety of Toyota service coupons! 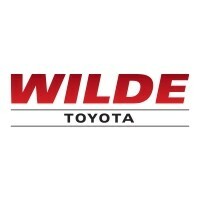 Whether you are in need of tire services or are in search of brake service coupons, we have what you need at Wilde Toyota. We also offer Toyota oil change coupons to ensure that your vehicle is running as smoothly as possible. Before you schedule your next service appointment in West Allis, do yourself a favor and browse our current auto service coupons. Feel free to contact us at your convenience if you have any questions about our service specials! Plus tax & disposal fee. Up to 5 quarts. Extended life fluids extra. OW16 oil on 2018 vehicles extra. Additional for trucks. All coupons must be presented at time of write-up. Does not apply to prior sales. Not valid with any other coupon. Only valid on Toyota and Scion vehicles at Wilde Toyota. Excludes some models. Expires 4/30/19. Plus tax & any disposal fees. All coupons must be presented at time of write-up. Does not apply to prior sales. Not valid with any other coupon. Only valid on Toyota and Scion vehicles at Wilde Toyota. Excludes some models. Expires 4/30/19. Includes: replace engine oil & oil filter, lubricate hinges/latches, tire rotation, engine air filter & cabin filter inspection, 27-point Multi-Point Inspection & Car Wash.
Plus tax & disposal fees. All coupons must be presented at time of write-up. Service includes: replace engine oil & oil filter, lubricate hinges/latches, tire rotation, engine air filter & cabin filter inspection, 27-point Multi-Point Inspection, and Car Wash Does not apply to prior sales. Additional for trucks. Not valid with any other coupon. Only valid on Toyota vehicles at Wilde Toyota. Excludes some models. Expires 4/30/19. Plus tax & fees. All coupons must be presented at time of write-up. Not valid with any other coupon or prior purchase. Only valid on Toyota and Scion vehicles at Wilde Toyota. Excludes some models. Expires 4/30/19. Additional diagnostic inspection extra. Plus tax & any disposal fees. All coupons must be presented at time of write-up. Does not apply to prior sales. Not valid with any other coupon. Only valid on Toyota and Scion vehicles at Wilde Toyota. Excludes some models. Expires 4/30/19. All coupons must be presented at time of write-up. Does not apply to prior sales. Not valid with any other coupon. Only valid on Toyota and Scion vehicles at Wilde Toyota. Excludes some models. Expires 4/30/19. Service includes pad replacement & rotor resurfacing. Plus tax & any disposal fees. Offer valid only on standard brake systems. All coupons must be presented at time of write-up. Does not apply to prior sales. Not valid with any other coupon. Only valid on Toyota and Scion vehicles at Wilde Toyota. Excludes some models. Expires 4/30/19. Plus tax & any fees. All coupons must be presented at time of write-up. Does not apply to prior sales. Not valid with any other coupon. Only valid on Toyota and Scion vehicles at Wilde Toyota. Excludes some models. Expires 4/30/19. Does not apply to prior sales. Plus taxes & any fees. All coupons must be presented at time of service. Only valid on Toyota and Scion vehicles at Wilde Toyota. Excludes some models. Expires 4/30/19.